UPDATE: THIS LOCATION IS NOW CLOSED! 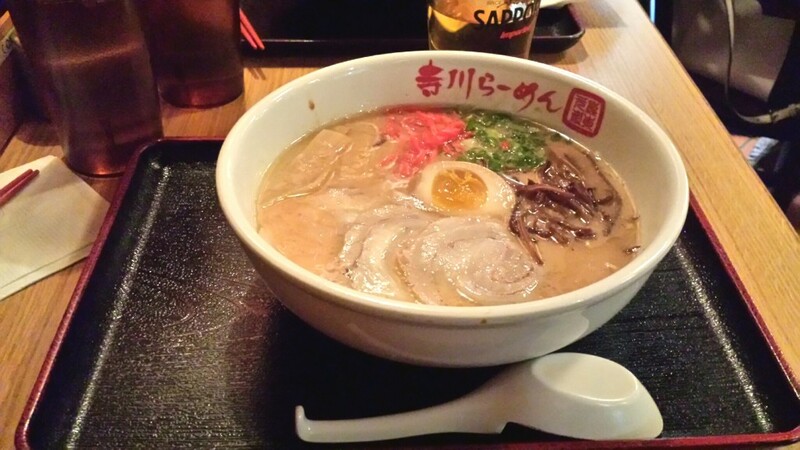 Terakawa Ramen is the kind of tiny joint that you pop into for a quick fix if you’re in the area. I wouldn’t go out of my way to come here, but they DO do a great job with the basics. At $9 the Terakawa Ramen is a steal. The bowl is huge, and it is really tasty. Stick with the basics though. 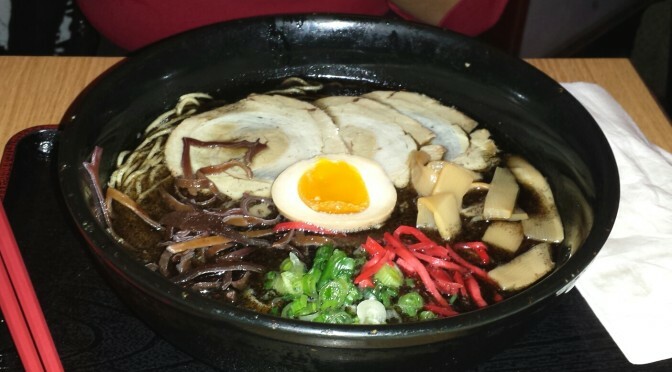 My wife tried the Mayu black garlic oil ramen, which was essentially the Terakawa ramen but with a heavy layer of burnt tasting black garlic oil that was a bit ashy in texture and look. The Terakawa was much better. The noodles are square in shape, straight, and a nice texture. The scallions are cut properly, and the pork is soft and thinly sliced. Definitely worth a try, and I would certainly go back for seconds, but I wouldn’t go out of my way for it like I would for Bassanova or Totto. 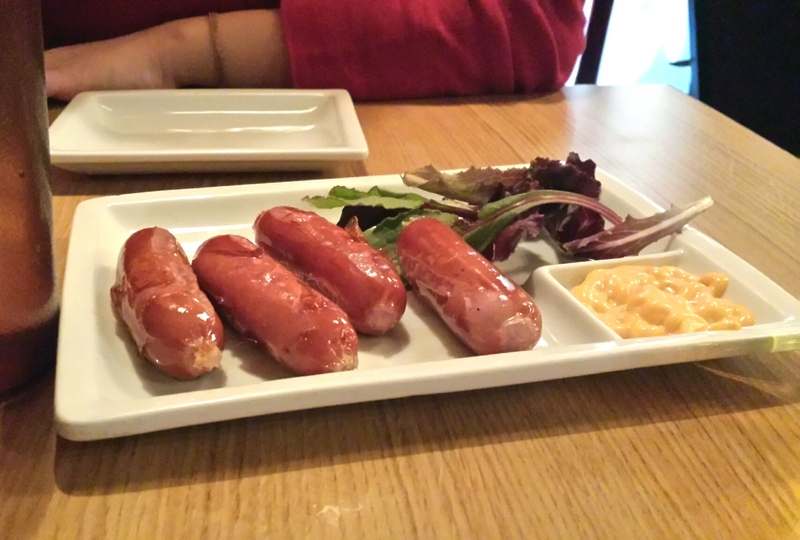 We also tried an order of the Kuro Buta sausage. I was hoping for something a bit different, but it was still tasty. Ultimately not a necessary item. Go for extra pork in the ramen instead.